Following release to the vol.1, with upgraded contents! (^^) A set of pretty, upbeat wallpaper CG pictures in the theme of Summer days! Illustration (wallpaper): 26 kinds (36 patterns)/7 newly produced CG pictures /Image size: 1280x960, 1024x768, 800x600. 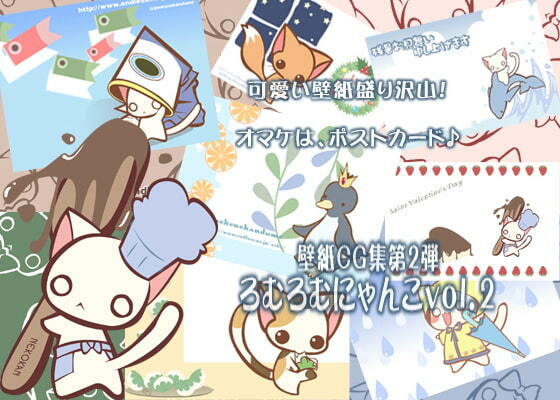 5 bonus images are also contained: images released on gallery BBS, and greeting post card (5 kinds/8 patterns).